If you’re looking for toddler activities to do at home then you’ve found the right spot! We have so many activities for toddlers that you’re 1, 2 or 3 year old will be entertained for at least a year! We have toddler craft activities, lots of sensory play (including sensory bins and sensory bottles for toddlers) and recipes and messy play too! 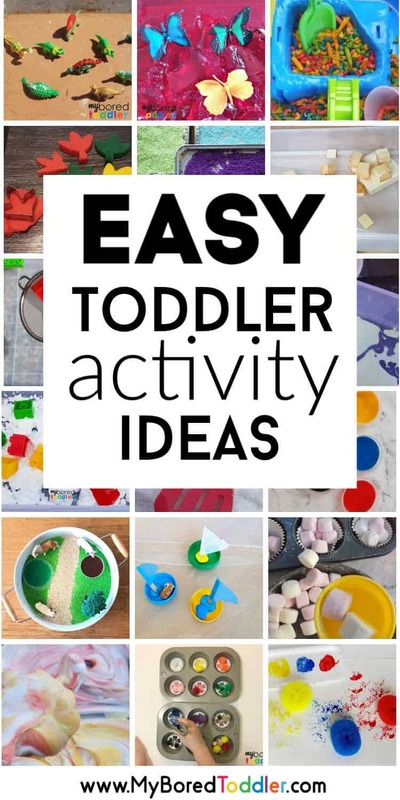 I started this site because I was struggling to find simple and fun activities for toddlers that I could do at home. We now have a great collection of toddler activities to suit almost every occasion. 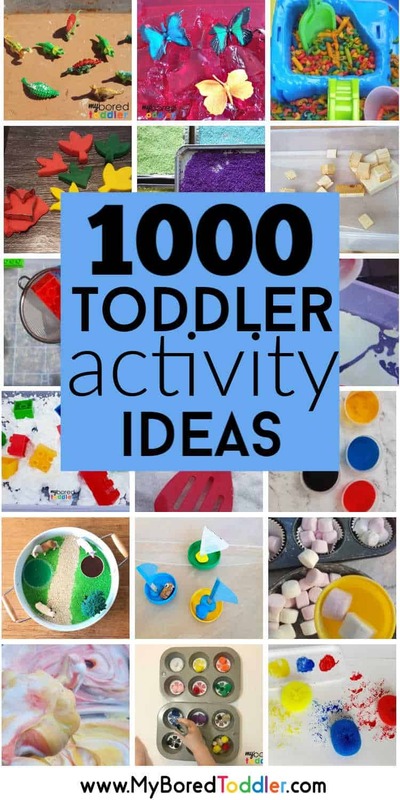 In fact we now have almost 1000 activities for toddlers on this site! I’ve been asked to put them all together in one location so that people can easily refer to them, so here you go! You might also like to know what I keep in my craft box – you can find everything HERE in my Amazon Store where I recommend my favorite toddler activity resources and craft supplies. 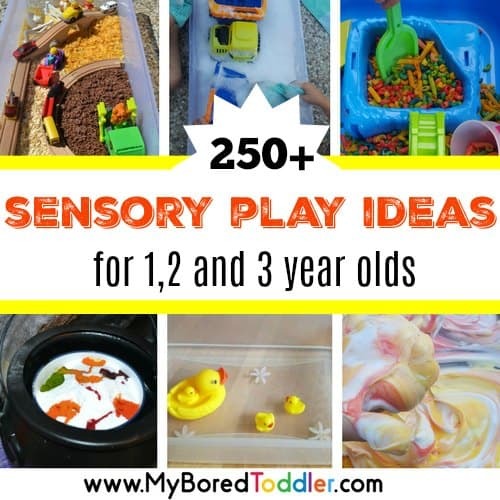 If you’re looking for sensory play ideas for your baby or toddler then you’ll find our huge range of sensory activities HERE. This collection includes sensory activities, bins and bottles for all seasons and special occasions too. Special occasions are a perfect opportunity to get out the craft box and get some toddler activities happening! Because there are so many great ideas for each of these you can easily find the ones you need below. Reading is one of the best toddler activities you can partake in, and we have some great book lists for you to choose from. 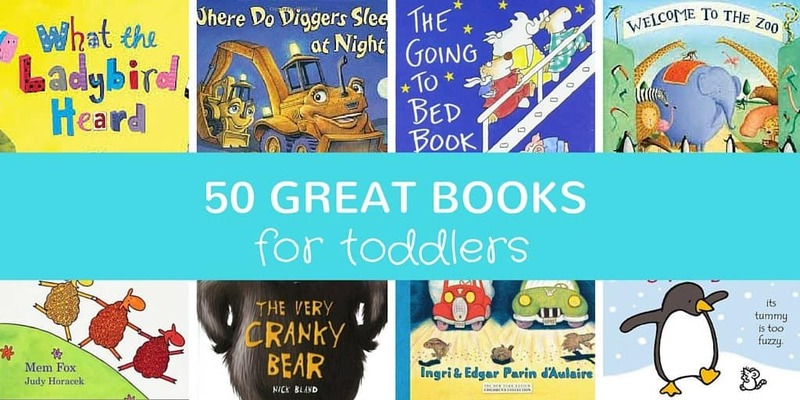 A great place to start is 50 Great Books for Toddlers and then you can find all of our other book recommendations HERE. Join a toddler play challenge! One of the activities that our readers (especially those in our Facebook group) have found the most beneficial is taking part in our FREE play challenges. These are challenges encouraging you to participate in SIMPLE and INEXPENSIVE toddler activities. You can join in any of these challenges by clicking the links below. I recommend only doing one at a time. Once you join up you’ll receive an email with everything you need for the entire challenge, and a new activity each day. We also have some Special Occasion Challenges too which run each year.